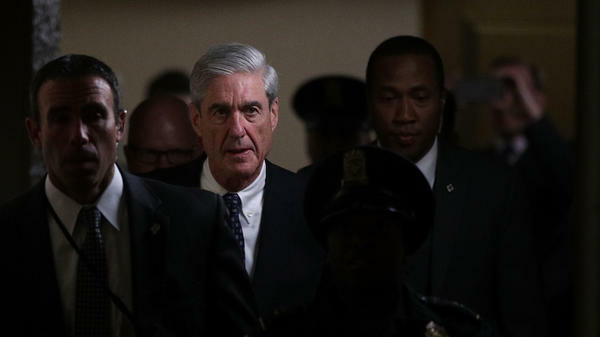 It is assumed by many that Justice Department special counsel Robert Mueller doesn't want to do anything to influence the midterm election season, giving him one more week to make a move before he must go ultraquiet. Justice Department official Bruce Ohr arrives for a closed hearing of the House Judiciary and House oversight committees last week on Capitol Hill in Washington. What might be left on Mueller's to-do list? That depends on what his investigators have discovered and how much more they might know about the Russia case than what is in the public eye. Donald Trump's longtime political adviser Roger Stone has been telling anyone who'll listen that he expects to be indicted — wrongly, because, Stone says, he has broken no law — but there is no way to know what to make of that. Could WikiLeaks boss Julian Assange, who disseminated the embarrassing material stolen by Russia's military intelligence agency and wrought so much madness in the 2016 election, be the next nominee for Mueller's roll of honor? What about Donald Trump Jr.? The president's son, by his own admission, solicited help for the Trump campaign from the Russian government in response to the offer it made through intermediaries in June 2016. A Russian delegation visited Trump Tower to meet with Trump Jr. and other campaign leaders to provide a tip about what the Russians called potential wrongdoing by Democrats. But because the tip required more investigation and didn't directly implicate Hillary Clinton, Trump Jr. says he didn't pursue it. Then there's the president himself. He says that all of this is a "witch hunt" and that Mueller is "disgraced and discredited." And Trump holds out the possibility that he might "get involved" with a Justice Department that he says is in the pocket of Democrats. So if the Justice Department does something first — in the coming week — something that incommodes the president, things could heat up fast. Trump is angry at Attorney General Jeff Sessions, angry at Deputy Attorney General Rod Rosenstein and really angry at Mueller. If something is going to happen that brings this situation to a flashpoint, this may be the time. However, Mueller may not be bound by any of this. The "you mustn't do anything political within 60 days of an election" rule is not carved into the marble at Justice Department HQ in Washington, D.C. Trump's name is not on the ballot this autumn. There is no way to know how much the "time trouble" narrative is real and how much is wishful thinking by the White House intended to bolster its public relations strategy designed to paint Mueller as a villain. And if Mueller does dive to the bottom of the ocean from Sept. 7 until Nov. 6, nothing — so far as the public understands today — stops him from simply resurfacing on Nov. 7 if he has more work to do. "How the hell is Bruce Ohr still employed at the Justice Department? Disgraceful! Witch Hunt!" These were the words of the president of the United States on Wednesday following the visit of Justice Department official Ohr to Capitol Hill for an interview behind closed doors with the House Judiciary and oversight committees. 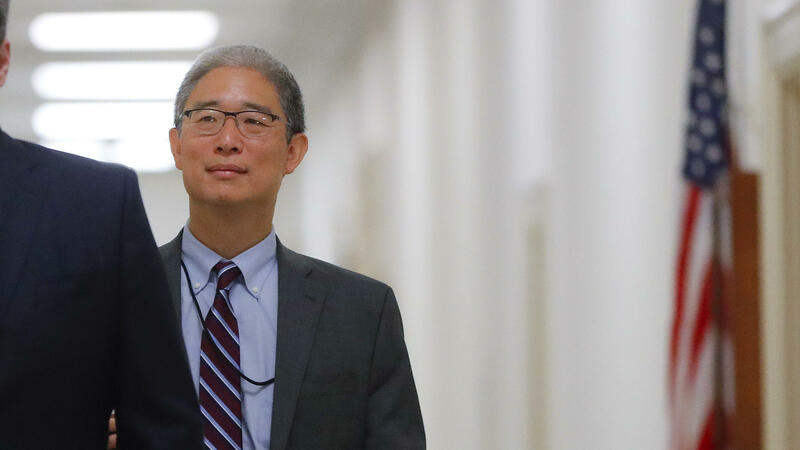 Ohr is an expert on Russian organized crime, and he was a main contact in 2016 between federal law enforcement and the former British intelligence officer, Christopher Steele, who wrote the infamous Russia dossier. Republicans have focused the brunt of their attacks in the Russia case on Steele and the dossier and everyone involved, including Ohr and his wife, Nellie, who worked for Fusion GPS, the political intelligence shop in Washington that commissioned Steele to compile the dossier. Steele and the dossier weren't the genesis of the Russia investigation, but Republicans often say they are. The salacious claims involved and the fact that the material is partly unverified make it the weakest brick in the investigation's foundation. The parts that the FBI have verified remain secret. So if what Republicans consider Ohr's political transgressions are clear — his connections to Steele and Fusion GPS — what isn't clear is whether he might have committed any misdeeds meaningful enough to the leadership of the Justice Department to cost him his job. The department has gone quiet about Ohr's case, to the extent of even declining to answer questions about what his current job is. Could he be the next FBI or DOJ official shown the door in what Trump and Republicans call an overdue reckoning? The president and his supporters say he should and must be. At very least, Trump has suggested he may pull Ohr's security clearance. To Democrats and other critics, all this is part of a political purge, a so-called "Saturday Night Massacre" — when top Justice officials quit rather than fire the independent counsel investigating President Richard Nixon — refused in slow motion. One fear expressed by those critics is that if Ohr goes, Republicans won't stop with him — they'll find other political targets to hound out of their jobs to keep alive their war about "bias" within federal law enforcement. Big Tech is running out of friends in Washington. On Sept. 5, the Senate intelligence committee has scheduled another flagship hearing with the bosses of Facebook and Twitter to talk about what they're doing to help prevent another round of social media agitation like that used by Russian influencemongers in 2016. Larry Page, the CEO of Google parent company Alphabet, also has been invited but has not committed to appear — and committee Chairman Richard Burr, R-N.C., did not accept the company's offer of another official from Google. So the search behemoth might wind up being represented by an empty chair. Expected to actually appear are Facebook COO Sheryl Sandberg and Twitter CEO Jack Dorsey, who'll face questions about what they've improved since their companies' last go-round under the klieg lights. They say they're doing a lot, and Facebook especially has launched a vast goodwill campaign, up to and including ads in D.C.'s subway system. Will that be good enough? Sneak preview: No. And Dorsey especially is going to have a rough day as Republicans amplify their arguments — led by Trump — about what they call the censorship of conservatives online. Dorsey not only will undergo a wire-brushing with Sandberg from the Senate intelligence panel, but also later in the day by himself before the House Energy and Commerce Committee. What does it all mean? Big Tech is probably in no danger of new restrictions or legislation that would mandate better protections against a 2016-like influence campaign. For now. But it does not want its political EKG trend line to tick down any further.